It’s wedding season! I haven’t posted in awhile because I haven’t had many new items to share- most of my efforts have gone toward completing orders from brides and grooms with weddings on the horizon for their bridesmaids and groomsmen. Since the hand stamped initial bracelets and men’s monogrammed tie bars have been so popular with the brides and grooms, I thought that I would start selling them in groups instead of only individually, to give a bit of a discount on bulk orders. Hand stamped items like the sterling silver initial bracelets and the monogrammed tie clips below make great gifts for a group of people- especially for those people to whom you want to say thanks for supporting you on your way to and on your special day- whether that special day be your wedding, your graduation, or some other accomplishment for which you want to thank people for their support. Elegant yet versatile, both the tie clips and the bracelets will accessorize any outfit, whether it be formal or daily wear, and are a great personalized memento of whatever occasion you choose. The Tie Clips feature the slightly larger Arial font for the initial of the surname, which in the traditional monogram style is the center letter, with a slightly smaller 2mm Typewriter Font for the initial of the first and middle names. I bend and cut the tie clips myself, so the size and length is totally up to the customer! These were made to fit the skinny ties of 6 groomsmen and a groom- I’ve requested pictures from the wedding, so hopefully I’ll be able to post them soon! 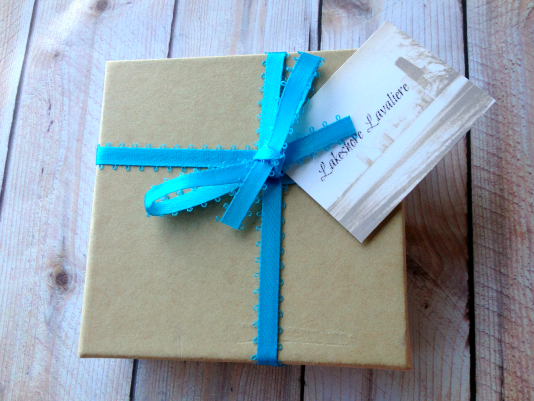 I’ve also started offering FREE gift packaging with each order- customers can choose what ribbon color they’d like or can choose twine. 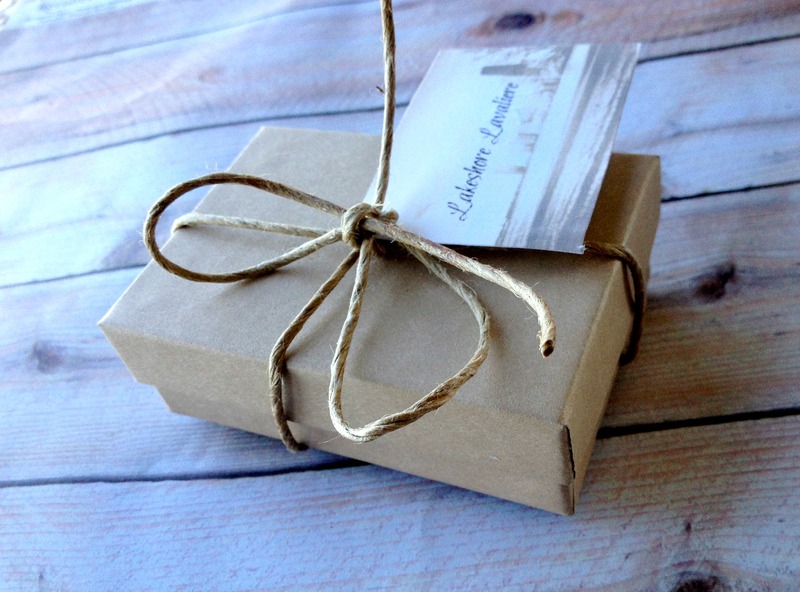 This one below is what one of the grooms chose for his gift packaging. The hand stamped sterling silver initial bracelets are done with a 6 mm font called Seymour, which is a type of monogram font. I can’t wait to see (and post) the pictures from this wedding as well! Thanks for reading & I hope you like my new additions to the lakeshore lavaliere collection!